Chewing Gum is a worldwide disposal problem. Most chewing gum ends its life on the floor. 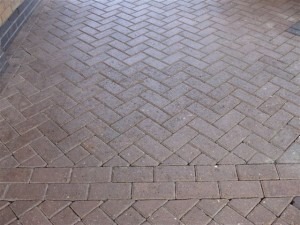 We can clean using steam/pressure washing ensuring the surface is gum free. 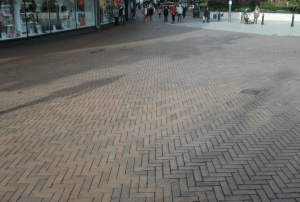 Watson CCS would recommend an annual maintainace plan which would benifit high footfall areas by routinely cleaning throughout the year, subsequently keeping the area clean at all times and removing the requirememnt for any entire thorough cleaning. Where the problem exists on tarmac areas and the gum is embedded beyond removing effectively, Watson CCS can restore the surface back to an acceptable standard using a suitable covering. Keeping public areas clean is essential for making that first good impression. The quick removal of chewing gum stains helps to ensure the area reminds clean and tidy. 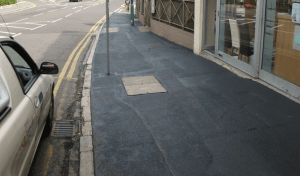 Watson CCS LTD are able to clean pedestrian precincts and pedestrian footways and any other surfaces that need chewing gum removed . Our teams work safely and efficiently to remove dirt and chewing gum restoring the areas to their original condition. Chewing gum is a very difficult type of litter to remove. Its sticky nature means conventional cleaning methods struggle to remove it from all types of surfaces. It is a criminal offence to drop chewing gum with the offender being liable to be fined under the Environmental Protection Act 1990 and the Clean Neighbourhoods and Environment Act. All of our staff have been specially trained on all the methods required to remove chewing gum from any possible surface, and carry out these duties in an effective, responsible professional manner!! Why not give us a call to see how we can help you and get a very competitive quote!!!!!! Contact Watson CCS to find out more.